The first place you take a visitor in my native Antwerp (Belgium) is to the Zoo next to the monumental Central Station. 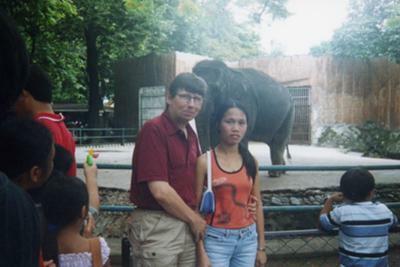 Well while visiting my Filipina webpal I immediately proposed hitting the Manila Zoo, to "break the ice" so to speak. At first she did not seem to be too keen. Maybe because when one thinks of a Zoo, one thinks of it as a place for children. Well as we progressed through the park I noticed her interest grow as we discovered more and more animals unknown to us till that moment. Join in and write your own page! It's easy to do. How? Simply click here to return to Manila Zoo.